In order to understand why personal money management is so important consider the following questions. Do you ever worry about money? Does it ever seem like your money just disappears and you have no idea where it all went? Are you now on your own (or soon will be) and you have no idea how money really works? If you’re married, do you and your spouse ever have tense conversations (or flat-out argue) about money? Would you like to know how much money you can safely spend before your next paycheck and still be okay financially? Do you have hopes and dreams that are bigger than your bank account and you wonder if you will ever be able to achieve them? Do you have a tendency to spend money on things that you can’t afford? Despite big plans, do you always have trouble coming up extra money to save or invest? Would you like to know what it will take to make that happen? 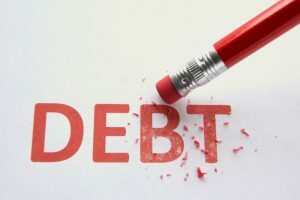 Does it seem like you never make any headway paying off your debts (or worse, they continue to grow)? Have you ever felt overwhelmed by the thought of what it would take to get your finances organized? Does it seem like you’re never getting ahead despite the passage of time and all of your hard work? Do you sometimes feel tossed about as external events crash upon you, feeling that they are in control of your financial destiny rather than you? If the answer to any of these questions is “yes” then I would suggest that personal money management is very important to you. Then you’ve come to the right website. Keep reading! We have a number of different articles to help you become financially independent! Is Becoming Debt Free Possible For Me? YES!! There comes a time when most sane people have had enough….Enough stress and embarrassment….Enough collection calls and harassment…. Enough being in debt! Living the lifestyle that you think you have to live simply because others expect you to is foolish. It is time to grow up and to finally start acting like an adult. cannot be traced to anyone but you. The economy did not cause your problems. George Bush did not cause your problems. You did. You signed that stupid car loan at 12% interest. You signed up, and subsequently maxed out, those credit cards. No one else did it for you. If you are finally tired of the mess that you created, there is a way out. 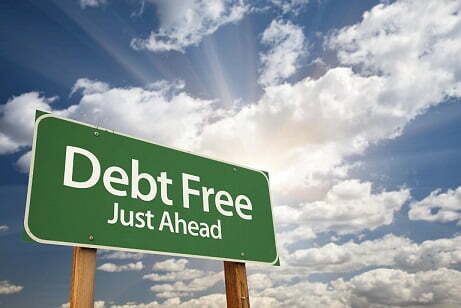 Becoming debt free will allow you to start living the life you have always wanted. All it takes is a plan. Dave Ramsey is a well respected, nationally syndicated radio talk show host and TV personality, who is quite simply ‘the’ expert with respect to personal money management. Over the past few years, Dave has helped thousands, if not tens of thousands, of people get their debt under control and changed their lives forever. Additionally, Dave has helped people understand the true power of passive income. I am one of these people. What I like most about Dave Ramsey is his straight talking, in your face, attitude who will blast apart any objections that you may have. Over the course of dispensing financial advice, he has developed what he calls ‘The Baby Steps’. Often people get frustrated by all of the possibilities available to them. Information is great, yet information overload can be tragic. In order to help people process what is important, and what is just noise, Dave developed the following plan. The first thing you should do is save $1,000 as fast as you can. Do whatever you have to do to put this money in the bank. Sell some old stuff on eBay or Craigslist. Get a second job bagging groceries at a grocery store. Create your own affiliate marketing empire online. Whatever it takes! Once you save this money, keep it in the bank for true emergencies. Do not use it for a nice vacation. Do not go out and buy yourself a new set of golf clubs. Becoming debt free requires having this money set aside for true emergencies in the first step. If something does happen, you will not have to use your credit card to pay for it! You can use cash! This is the step where most people begin to understand just how difficult it can be to get rid of debt. It takes a lot of effort, dedication and teamwork to power through this step. For some people, it may take two years to finally complete it. For others, it may only take a few months. Try our debt snowball calculator. * Make a list of all our your debts from the smallest amount to the largest. List ALL of your debts, except for you house (this debt actually is accounted for later on). * After all of your necessities are paid (food, shelter, transportation and clothing), pay the minimum amounts on all of your debts. As a side note, you should be current on all of your debts before you begin this step. In fact, I think you should be current on all of your debts before you complete your initial emergency fund. * Any additional money that can be squeezed from your budget should be applied to your debt with the highest interest rate. This is extra money, in addition to the minimum payments that you are already paying. Do not consider interest rates when determining which bill to pay extra on. 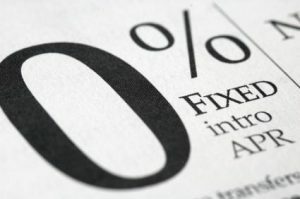 Pay off your highest interest rate debts first and ignore the mathematics involved. * Repeat this process until you are debt free living, except for your mortgage. In step one, you saved $1,000 to cover minor emergencies while you begin to eliminate your debt. In baby step three, you will now complete your emergency fund. A fully funded emergency fund should cover between three to six months of expenses. This is your main security blanket. How great would it feel to know that even if you lost your job, you would be OK while searching for a new one. Guys, a fully funded emergency fund is the best gift you can give to your wife. She will sleep so much more sounded at night when you have one. You have now finally reached the step where you start thinking about your retirement. You have no debt, except for maybe your mortgage, have a fully funded emergency fund and are well on your way to changing your family’s future. Invest 15% of your gross income, not your take home. Do not cheat yourself out of potential growth. Additionally, if your company has some form of retirement match, do not include it in your calculations. Invest the full amount yourself and consider anything else just icing on the cake. According to Dave’s book, The Total Money Makeover, 68% of Americans have saved nothing for their child’s college education. This is a tragic oversight, which is putting thousands of students in debt before they even have a chance. In this step, begin investing such plans ESA and 529s. If you do not know what these terms mean, simply type them into Google, and do a bit of research. New plans are being creating every day, so it may be best to talk to a qualified financial planner. Who would have thought when you began this process, that you would actually be debt free (except for the mortgage), have a fully funded emergency fund, be saving for your retirement and be saving for your child’s college education? You have come a long way and you should congratulate yourself. You are not, however, completely done yet. In baby step six, you will now start paying off your mortgage early. Treat this exactly like you treated your other debt in step two and figure out a way to pay more directly to the principle each month. This is the step most people only dream about. 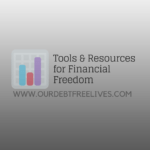 You are now debt free and can truly live free from any debt or burden, free from the stress of being able to pay your monthly bills and free to know that you will have something saved for your retirement. In this step, build wealth and then…..give it away. Give some to family. Give some to churches, Support something you believe in. Create a lasting legacy for your family. Being in debt is not the end. It does not have to be part of your life. Becoming debt free just requires the right plan.